At over 1000′ above sea level, in the foothills of the Adirondacks, with a long clear view over the Mohawk Valley and away to the north, we are proud to produce local food at least 10 months of the year. 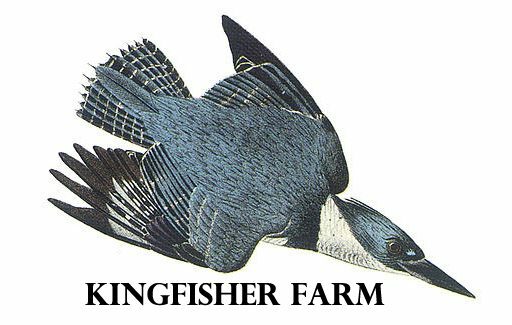 Kingfisher Farm is a certified organic fruit and vegetable farm in Oneida County, New York, split between property in Sauquoit and Clinton. Our mission is soil health, good eating, and super-local food. We have a summer and fall CSA and also bring our produce to Clinton Farmer’s Market on Thursdays and the Oneida County Public Market in Utica’s Train Station on Saturdays. Please do stop by or reach out by phone, text, or email: I can talk organics, soil health, seed varieties, the Mohawk Valley, apples, chickens, cover crops, why local food makes so much sense, all day! And, give us a call at (315) 790-0328 or send an email if you have questions.